Richard Vernon Baker, age 80, of Flippin, Arkansas passed away Tuesday, June 12, 2018 in Flippin. Mr. Baker was born September 21, 1937 in Milwaukee, Wisconsin to the late James R. and Rose Esther (Schimp) Baker. 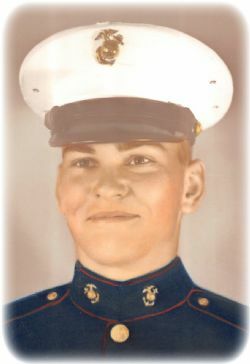 He was a retired Master Sergeant with the United States Marine Corps, having served in Vietnam. He was a member of Main Street Church of Christ in Yellville, Arkansas. He was a member of Yellville Masonic Lodge 117 where he was a Past Master. He was a Shriner and a jack of all trades. First and foremost he was a loving husband, father and grandfather. Visitation for Mr. Baker will be one hour prior to service time Friday, June 15, 2018 at Roller-Burns Funeral Home in Yellville, Arkansas. Funeral service will follow at 10:00 am, Friday, June 15, 2018 in Roller-Burns Funeral Home Chapel with Bryan Jefferson officiating. Interment will follow at Peel Cemetery in Peel, Arkansas. Members of the Masonic Lodge: Scott Burns, Art Stone, Mike Lockhart, Mike Sanders, Dan Hollaman, and Paul Craig will serve as pallbearers.